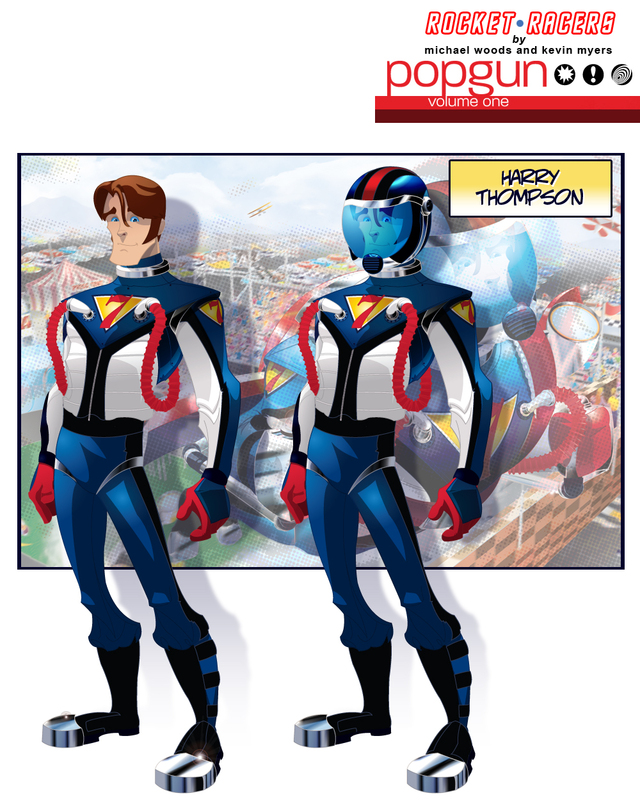 Older Harry from Rocket Racers in Popgun. More designs today from the short story Rocket Racers written by Michael Woods and appearing in the new anthology by Image comics called Popgun: Volume 1. This is the adult Harry Thompson, the main character from the story. You have seen Harry as a boy in an earlier post. Since the story takes place in a “re-imagined 70’s”, Harry’s clothing needed to have that feel. Michael described the suit as part Nascar race uniform and part Space suit. I really tried to stay close to that description. 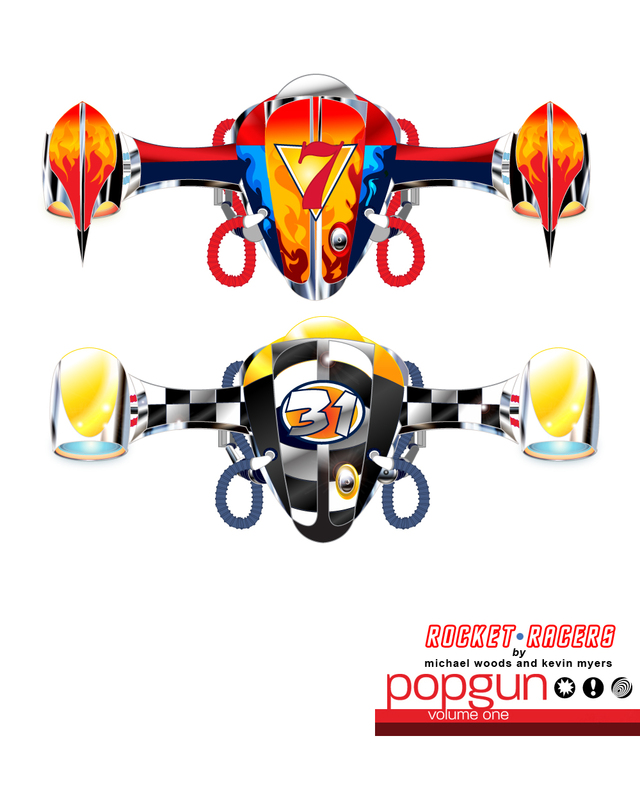 Okay.. so here are the Rocket Pack designs that I did for Harry the main character and his racing nemesis Racer 31. They belong to the the short story Rocket Racers written by Michael Woods and appearing in the new anthology by Image comics called Popgun: Volume 1. Just to refresh you memories on what Rocket Racers is all about this is what Michael Woods had to say about it. Next up is the design for an older Harry and his flight suit.